Although the infection is not fatal, treatment for shingles may be necessary to alleviate the pain. Proper treatment can also reduce the risk of suffering further health complications. Antiviral drugs should be taken within 72 hours of the initial signs of the infection. Among the medications that may be tried are famciclovir (Famvir), valacyclovir (Valtrex) and acyclovir (Zovirax). For the pain, numerous drugs may be taken. Among them are oxycodone and anticonvulsants like gabapentin (Neurontin). Amitriptyline and other tricyclic antidepressants may be prescribed too. Doctors may also recommend numbing agents like lidocaine. These agents may be cream, skin patches or gels. The risk of contacting the disease is reduced if one gets the proper vaccination. The rash produced by the infection usually affects a small section of the body. It may begin at one part of the chest. Sometimes it may appear at the neck or near the eyes. Signs include numbness, burning and sharp pain. 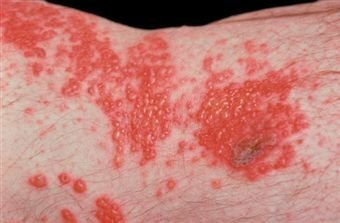 A red rash will appear a couple of days after the pain is felt. The pain will be accompanied by itching too. Several cases show that blisters filled with fluid will appear and then break. Other symptoms may include fatigue, fever, chills, headache and general achiness. The severity of the pain varies per person. The pain can be so severe it is sometimes mistaken for ailments involving the kidneys or the heart. There are also people who have gotten the infection without getting the rash. Anytime you suspect you have the condition, you should visit your doctor. However, immediate medical attention is even more necessary if the rash appears near the eyes. This may cause permanent eye damage if not treated properly. Treatment for shingles is required if your immune system has been weakened. This can be due to medications you are taking or due to another illness. Medical attention is required if the rash starts to spread and becomes very painful. The infection is brought about by the varicella-zoster virus. This is the same virus that brings about chickenpox. After a bout with chickenpox, the virus will become inactive and come to life as shingles. This can happen because the virus goes through the nerve pathways and goes to the skin. 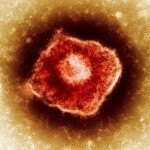 It is not clear as to why the virus reactivates itself. Studies have shown that the illness is more common in adults than children. One theory is that immunity is lowered as one reaches adulthood. The infection also affects those with weak immune systems. Anyone with the varicella-zoster virus may transmit it to people who have never had chickenpox. This can happen when contact is made with the sores on the rash. If you have the infection, avoid contact with pregnant women and newborns especially. Those with weak immune systems should be shunned too. The treatment for shingles should work if they are administered properly. It is important the medications are taken according to the dosage prescribed by a doctor so problems will be avoided.